Golfers routinely update their woods and irons, feeling they need the newest technology to stay competitive with their fellow hacker. That same urgency, however, is not found with putters, with many players thinking the current crop isn’t that different from the flatsticks of years past. But as you’ll see in the 2018 Hot List blade putter selections, the features displayed by this year’s field warrant your attention. Yes, the Anser-fashioned aesthetic remains a popular style in blades, a design that’s prominent among the Hot List picks. But though these clubs maintain an old school look, most possess modern amenities. To help with stability through the stroke, there is heel-toe weighting (some of which can be interchanged). To promote a truer roll and improve off-center hits, a milled face or face pattern come into play. Dampening inserts help with the experience of sound and feel, while alignment aids make sure you’re going in the direction you want to go. But the traditional blade is not the only style you’ll find. Many boast a bigger construction than the traditional flair, hoping to increase MOI to eliminate torque. Some are so big you may wonder if they belong in the mallet category. 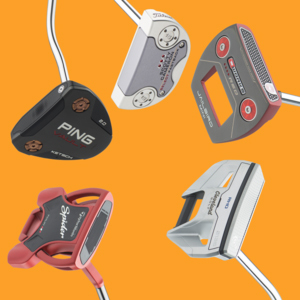 Luckily, most putters are offered in a variety of iterations, allowing the user to pick -- and more importantly, get fit into -- the club that suits them the best. 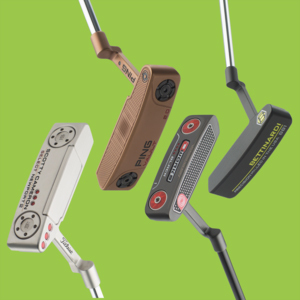 With such an array of options, no matter your preference, this year’s 2018 Hot List putters will get you right on the greens.